OC Fair Food is the BEST! A visit to the Orange County Fair is a summer tradition for many of us. My son couldn’t do many of the rides, but he didn’t care. 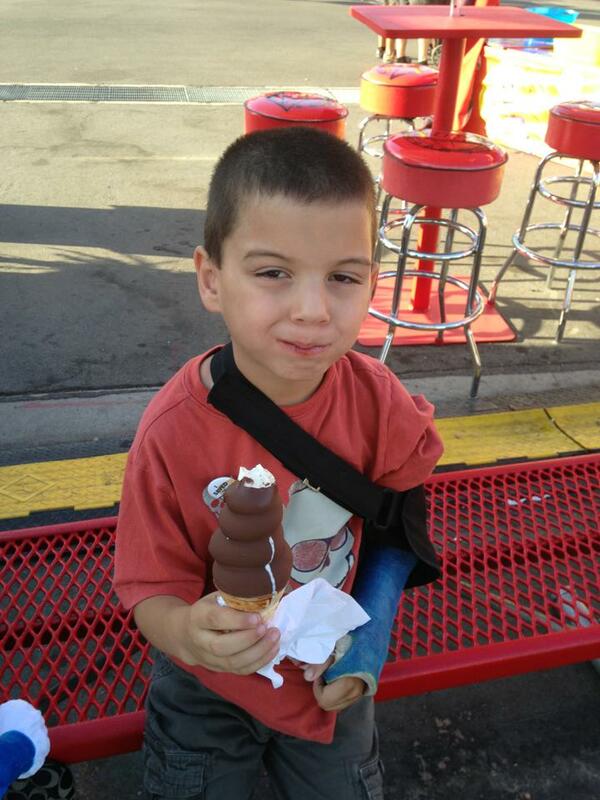 He ate his way through the fair, and was happy as can be. I know some like the rides, games, entertainment… but not me, I go for the food. It’s so yum! I guess the apple doesn’t fall far from the tree. Just look at this kid! The Orange County Fair is still in full swing. The fair is open Wednesday to Sunday, until August 11th. You still have time to go out and enjoy the Fair and some yumminess! Don’t forget about “We Care Wednesdays”. You can get in for Free with a donation. For additional info head here. Go out and have some fun! 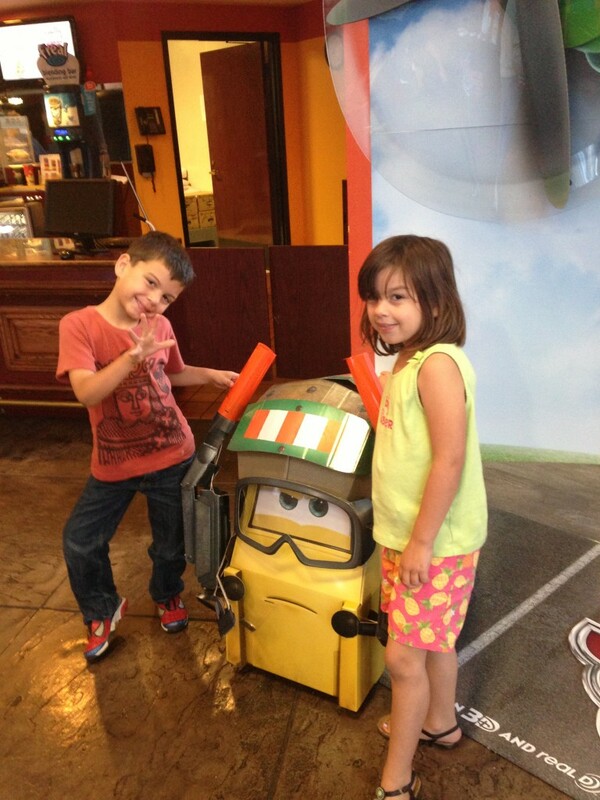 This entry was posted in Uncategorized and tagged @ocfair, Orange County Fair. Sawdust Art Festival Classes for Kiddos and Grown ups! One of our favorite summer traditions is taking a little trip to Laguna Beach and having fun at the different summer art festivals. The Sawdust Art Festival is our favorite. We try to visit at least once, but usually wind up going back more than once because our entire family has so much fun. There are a variety of classes for both children and adults. 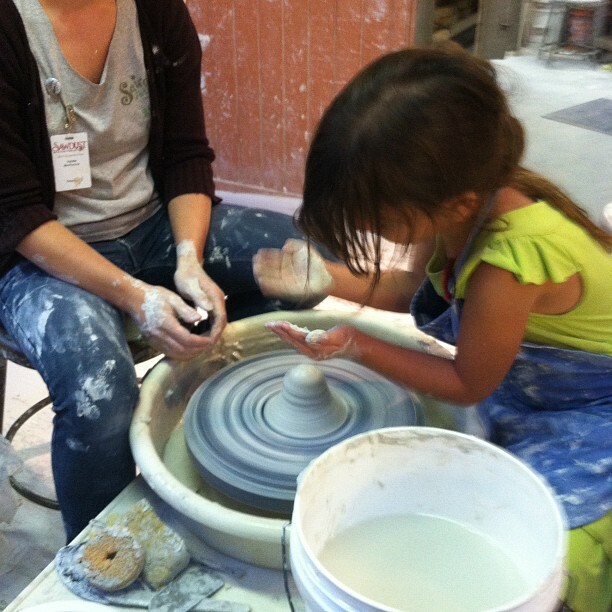 Last year both kids had the opportunity to try their hand at the potter’s wheel and created their own little pots. They had so much fun and it was super cheap. The class is free, and all you have to do is pay for the firing/glazing. The Children’s Art Festival offer a variety of free projects for the little ones. The classes for adults and children older than 6 are either free or there is a small fee for materials. I’ve really wanted to take a jewelry making class and hopefully I can take one in August. We love the festival and I know you will too. It’s fun for the entire family. There is live music, food, and features more than 200 local artists. To check out the schedule of classes head here. The Summer Sawdust Festival runs through September 1st, and is open everyday from 10am to 10pm. For additional info head here. This entry was posted in Uncategorized and tagged Festival of Arts, Laguna Beach, Sawdust Art Festival, Summer Art Classes. Can you guess what they want to watch next? We love a night out at the movies. We are trying to watch every family movie that is released this Summer. Maybe I’m late to the game, but I just recently discovered that I love watching the new release films the night before they are officially released. We love being able to watch movies the night before because, the showings are usually less crowded than opening weekend, and the kids love their special night out. I’m not sure it works well during the school year, but it works well during the summer, and I’m sure it will be the same during the holiday season. The local theaters in our neighborhood usually showcase the movies the night before the official release day either at 7pm, 7:30pm, or 8pm. We’re usually out of there around 9ish. The kids love our new tradition! I’m not fond of the 3D movies(or the price!) and most of the sneak peek showings are 2D and I don’t have to shell out extra cash. It’s a win-win for our entire family. Try it out and let me know what you think. 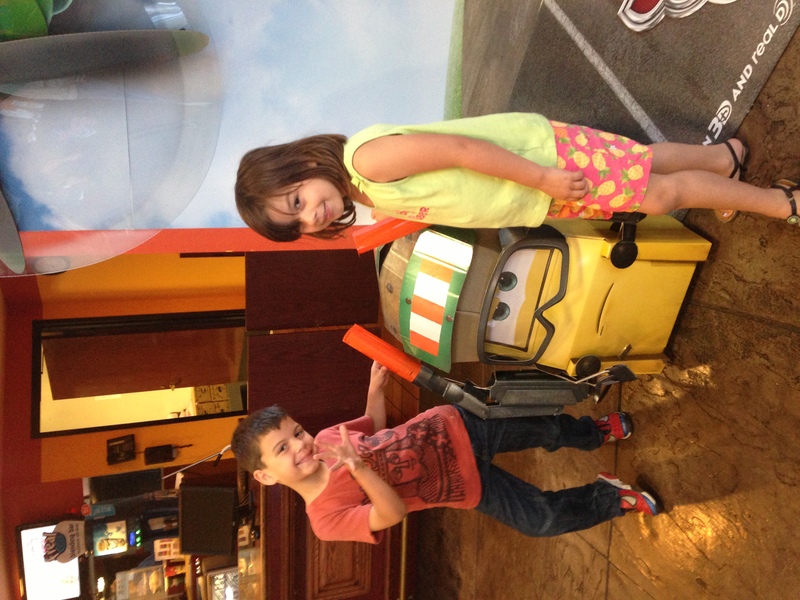 This entry was posted in Uncategorized and tagged Daytrippingmom Tip, Sneak Peek movies.